At no other time in our history have we pushed the boundaries of space travel so far – it’s in the news every week now. Exploring strange new worlds and boldly going where no man or woman has gone before might, well, become a “thing.” Even heading off-world could become an extreme vacation soon. Just last month, a Chinese rover explored the far side of the moon. The same mission also saw the successful sprouting of a cotton plant – making it the first-time biological matter has been grown on the moon. And recently, SpaceX founder Elon Musk, while reciting his company’s mantra: "to build a self-sustaining city on Mars," shared photos of his Starship Raptor. Its engine is designed to power both the rocket at liftoff, and the spaceship in outer space. To the average person, news like this has become commonplace. After all, last year, China sent 39 rockets into space, the U.S. 34 and Russia 20. But to the folks challenged to move the needle – or the rocket – faster and further, the billions of details and thousands of challenges leading up to a single launch are daunting. Excellent! We’ve got a rocket. Now what? Seems we’ll need to carry out a few calculations. If our goal is to propel our rocket into outer space, it will need to reach a speed more than 20 times that of sound – at least 4.9 miles per second (7.9 kilometers per second) – what’s termed orbital velocity. And, somewhere in high school physics, we learned that the heavier an object, the more gravitational pull it exerts. So, it makes logical sense that, if we can take weight out of our rocket, it will get off the ground more easily and will require less fuel to get the job done. Add to our weight calculations – cost. Experts estimate that every kilogram (2.2 lbs.) transported to outer space costs around $20,000 USD. [Though, Elon Musk has been quoted as saying he believes $500 per pound or less is very achievable.] So, it’s easy to see that if we can reduce our satellite’s weight by even the tiniest amount, we can trim significant cost from our project. Aircraft manufacturers, like Airbus, have seen the proof in the pudding. Last year, the company started 3D printing spacer panels for overhead storage compartments and happily discovered that the panels were 15% lighter than conventional ones. So, which solid part – currently made of titanium, heavy aluminum or otherwise, might you replace with a 3D printed piece? And, what if you could combine 10 or 15 components into one printed assembly – including the filters? 3D printing makes the impossible possible and Mott has patent-pending processes to custom print porous filters and flow control devices in virtually any configuration. We even produce parts that have both porous and solid components working together. How might all of these options reduce your design’s weight and complexity, speed up project timelines and wipe out cost? Fast Food on Mars? Not so fast. Getting to Mars is one thing but, if we’re planning to stay a while, we’ll need to solve the sustenance issue. Given what we’ve seen so far of life on Mars, hunting and foraging is probably out of the question, so we’ll just have to return to our roots – as gardeners, that is. But gardening in zero gravity presents its own challenges. Zero gravity means water floats – so we can definitely cross hydroponic gardening off our list, for now. But clever engineers have been toying with ceramic tubes that wick water down to the plants’ roots in soil. Where there’s a will, there’s a way, right? What other options can we devise to provide sustenance in unforgiving atmospheres? Perhaps a water recycling system that filters waste? Yes, that’s already a space travel reality, but is there a way to bring it to the next level? What about cryogenic refrigeration options? Or gas generation applications? Our engineering teams at Mott continuously work on projects where “off the shelf” solutions don’t exist. How could they when no one’s done it before? Pushing performance limits requires custom and complex engineering to sustain life in space or on naturally-uninhabitable planets. When you Reach Polaris, Turn Left. Unfortunately, standard GPS satellites won’t help you in deep space. That level of navigation requires intricate instrumentation and complex astrophysics calculations. And, to complicate things even further, vacuum in space means there’s no air resistance, no road friction, and no car bumper in front of you to slow you down. So, it’s important that thrusts are accurate. Even the smallest deviation off course requires that much more momentum – and time and fuel – to course correct later. Mott has decades of experience modeling the complex gas flows needed to power thrusters with precision – even in vacuum conditions. When we pair this with our patent-pending, solid-to-porous 3D printing technology, the possibilities are endless. 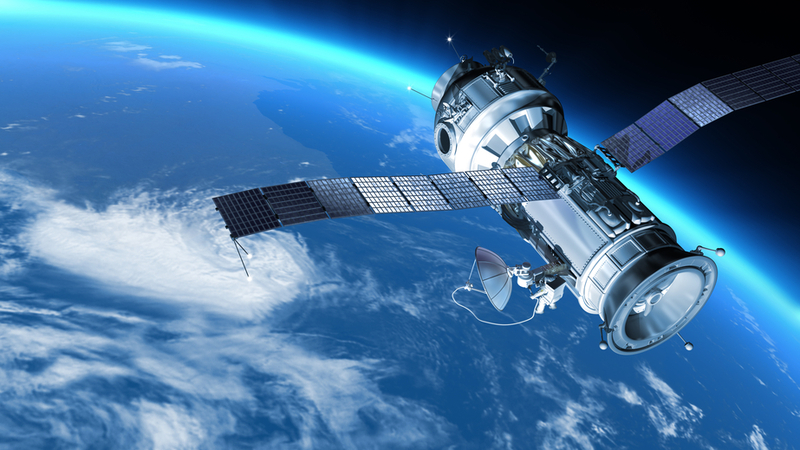 We have designed propulsion components and features used in chemical and electrical thrusters in satellites and spacecraft and are eager to explore other innovative advancements in this area. Simply bring us your challenge. One Shot to Land it – Better Make it Good. SpaceX, the first private company to successfully launch, orbit, and recover a spacecraft, describes its second attempt to control descent of its rocket and land it precisely on a ship in the Atlantic. Talk about the proverbial head of a pin, right? So, there you have it. A single component failed to function properly costing $62 million – the reported cost to launch its Falcon 9. Fortunately, by the fourth launch, they got it right – or it would have been curtains for SpaceX, Musk later revealed. The lesson for all: when a part is mission critical, you can’t afford for it to fail. When you’re talking about operability of key components of a rocket during launch or landing, controlling flow, it’s crucial to protect critical components so they can function as expected. Mott’s flow restrictors are built using porous metal, so they are not only extremely durable, but they maintain even flow distribution by flowing gas uniformly through multiple pores over the entire surface. Sunscreen. Don’t leave Earth without it. We Earthlings are fortunate to have an atmosphere, with layers of ozone to protect us from the sun’s harmful rays. But, according to NASA, astronauts in space are exposed to ionizing (high energy) radiation at levels equivalent to having 150 to 6,000 chest x-rays. To make matters even worse, when subatomic particles knock into the atoms of aluminum that make up a spacecraft hull, their nuclei can explode, releasing secondary radiation. That’s one reason why NASA is testing plastics for a multitude of applications. Engineered plastics are full of hydrogen atoms whose small nuclei don’t produce much secondary radiation. Consider the possibilities of integrating new designs and materials – metal or polymer, with 3D printing in spacesuits, crew cabins, and other components to reduce radiation exposure. This is yet another instance where we challenge you to escape the ordinary and bring previously impossible dreams to reality. So much of space technology comes down to the details – and much of it involves integrating reliable diffusers, filters and flow control devices into larger systems. With today’s advances in 3D printing, engineers are no longer constrained by the limitations of tooling required in conventional manufacturing processes. They are free to dream. Our technology makes it possible to fabricate an infinite number of geometrical shapes and structure types – and even enables you to combine tens of discrete parts, including filters and flow control components, into one 3D printed design. Through the decades, we’ve helped many aerospace engineers bring their concepts to reality. Our tried-and-true algorithms model for the harshest conditions, the biggest variations in temperature and the most challenging vacuum pressures. We work with a wide range of materials so bring us your material of choice and we’ll engineer a solution. We’ve also learned that our most productive and successful relationships are formed when customers approached us early in the design phase. If it’s a challenge you’ve got, our engineers are eager to help. Got a challenge you’re struggling to overcome? You don't need to be an aerospace engineer for us to help. Contact us today to receive a consultation from one of our engineers.